Find out body and hair care secrets the ancient Egyptians used! In ancient times in no other country like Egypt, was the concern with body and hair care so extensive. Cleopatra VII wrote a book of beauty secrets, because she was a master of this art. 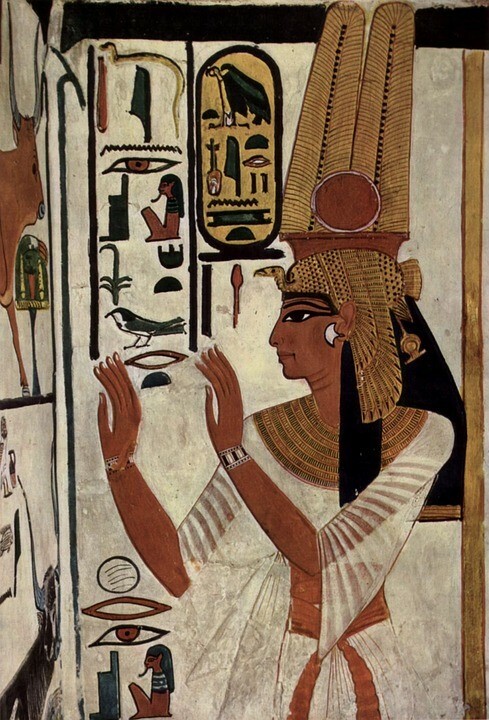 Even today eye makeup styles based on the ancient Egyptian technique are still popular. Body care was a common daily ritual. The ancient Egyptians used body scents for fumigation and flavouring of the body. Women and men also used body oils. They provided skin protection and moisturizing effect in a hot climate. They worried about weight gain and hair loss. The ancient manuscript is entitled «How to Make the Old Young». Such a book could be a best-seller today. As we know, many of the ancient Egyptians wore wigs. It was aimed not only to create a look of beautiful hair, but also to protect people from the heat of the sun. Their own hair was often dyed with henna and braided. They liked to adorn it with lotus flowers, gold tubes, ribbons, petals and berries. Researchers have discovered that people used over 20 aromatic oils not only for body but also for hair care. Both men and women wore makeup to be more attractive. Their makeup techniques made the natural beauty of the face more expressive. They mixed different ingredients with fats and waxes to make the cosmetics. The egyptians colored the lashes, brows and applied eyeshadow around the eyes. They used different pigments such as malachite to outline the eyes, galena or lead sulfide so-called kohl as the eyeliner, the spice saffron as the eyeshadow. Red ochre and wine helped to add color to lips and cheeks. So, we can copy a lot from the ancient Egyptians. First of all, their regular application of natural oils for body and hair care.